Is Melatonin Safe For Dogs? Written by a veterinarian. 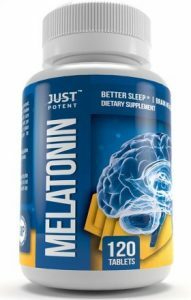 Melatonin is known by many as the “sleep hormone.” It is produced by a small part of the brain called the Pineal Gland when the eyes sense darkness. Dogs and humans brains are remarkably similar, and utilize the same neurotransmitters and hormones for basic emotional and physiological functions. As dogs age, their sleep-wake cycle can become erratic, and they don’t always sleep through the night anymore. In these cases, pet owners often ask me if they can use OTC (over-the-counter) melatonin as a sleep aid for dogs and the simple answer is YES! is a common anecdotal recommendation for sleep disturbances. Melatonin is not a very useful drug for anxiety and phobias in dogs. This is partly due to the subtlety of its effects, but mostly because it doesn’t work on the part of the brain that mediates stress and anxiety. it is likely a stronger, prescription medication will be required. When using supplements or medications for anxiety, it is always more effective to do so in combination with behavior modification as prescribed by a veterinarian or experienced trainer. If your dog is experiencing hair loss, be sure to have an exam done by a veterinarian. There are many other causes of hair loss, including serious hormonal diseases, which need to be ruled out before treating for Seasonal Flank Alopecia. 2-3 mg per 10 pounds 2 times per day. Nobody knows exactly how this works, but melatonin seems to play a role in stimulating the growth phase of hair in these cases. Again, have your dog examined by a veterinarian for more serious causes of hair loss first. In people, melatonin has been found to have appetite-stimulating effects in cancer patients in one study, but this has not been studied to treat anorexia in dogs. 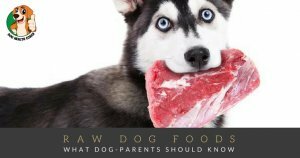 Anecdotally, some people report their dogs eating less when supplemented with melatonin. It is likely melatonin plays some role in regulating appetite (maybe that’s why I can’t stop eating in the wintertime…), but its therapeutic use has not yet been defined. The list of side effects caused by using melatonin in dogs is extremely short, with the only reported one being sedation. Since the side effects of melatonin in dogs are very minimal, there are currently no reported incidences of a clinical overdose. This means if your dog ate melatonin and is acting a little sleepy, but is otherwise normal, don’t sweat it! 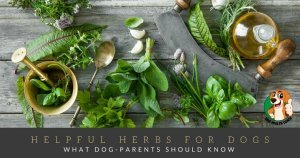 You can buy melatonin for dogs in the same places you buy melatonin for people, including drug stores, grocery stores, and natural health stores. You can typically find melatonin in 1mg, 3mg, 5mg, and 10mg formulations. Be sure to check the active ingredients on the label to make sure melatonin is the only one listed, and avoid orally dissolvable tablets and gummies. Did we miss anything? Please share your experiences, your feedback is very welcome.